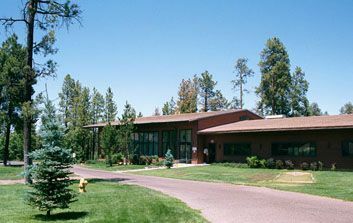 Roundhouse Resort is located at a 7,200 feet elevation in the White Mountains in eastern Arizona and is an excellent location for outdoor adventure both summer and winter. With timeshare resales in this spectacular setting, you can share ownership in an affordable vacation condo in this magnificent destination. If you are familiar with the scenic desert in western Arizona, you may be surprised to see the white-capped mountains, alpine lakes and forests of Pinetop. There are at least 60 crystal-clear lakes near the resort for fishing and water sports as well as 200 miles of biking and hiking trails. In the winter, you will be just a short distance from Sunrise Ski Park where there is skiing and snowboarding for beginners and experts. During the summer, you can zip line over the amazing trails. There are also several national monuments such as the Grand Canyon, Montezuma Castle and the Petrified Forest for a day’s excursion. Timeshare resales at Roundhouse Resort offer a great opportunity for you to secure vacations at today’s prices. You can choose a studio apartment or a one- or two –bedroom unit with all the comforts you expect. You will have TV, refrigerator, heating and air conditioning and in some units a fully equipped kitchen. Your condo is tastefully decorated and has original artwork so each unit has a unique personality. When you want to relax onsite, all the facilities of the Roundhouse Resort are at your disposal. 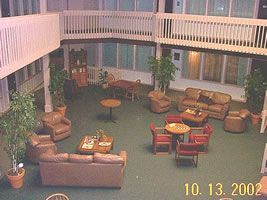 You can unwind by the heated pool or in the hot tub, work out in the weight rooms or enjoy the indoor recreation center. There are outdoor games courts, barbecue pits and two playgrounds. You will find golf, restaurants and boutiques nearby. Vacations are good for your health and a timeshare is a great way to have a high-quality vacation at an affordable price. Your personal vacation condo is located in a desirable destination in a top resort that offers a wealth of amenities and is perfect for a full family holiday or a weekend getaway. Contact Roundhouse Resort Specialist Today!